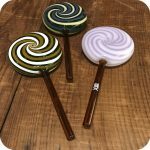 This lollipop pipe is a sweet, swirling treat! 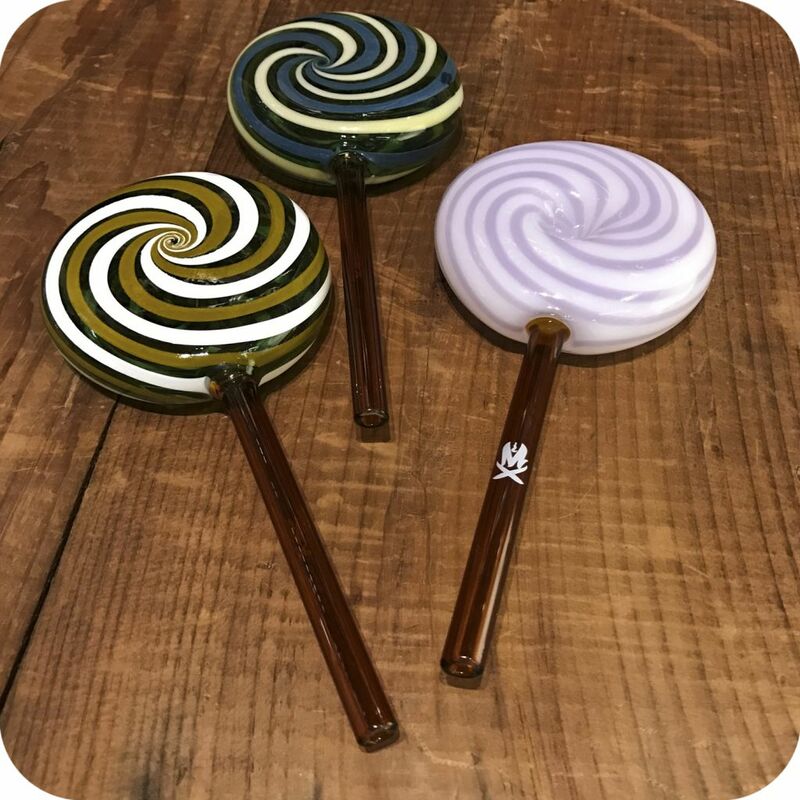 An adorable addition to any candy-lover’s collection, this lollipop pipe is sure to sweeten your smoking experience. 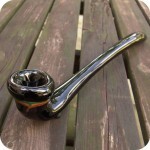 Comfortable to hold in the hand, this pipe’s long stem makes for a smoother, cooler smoke. 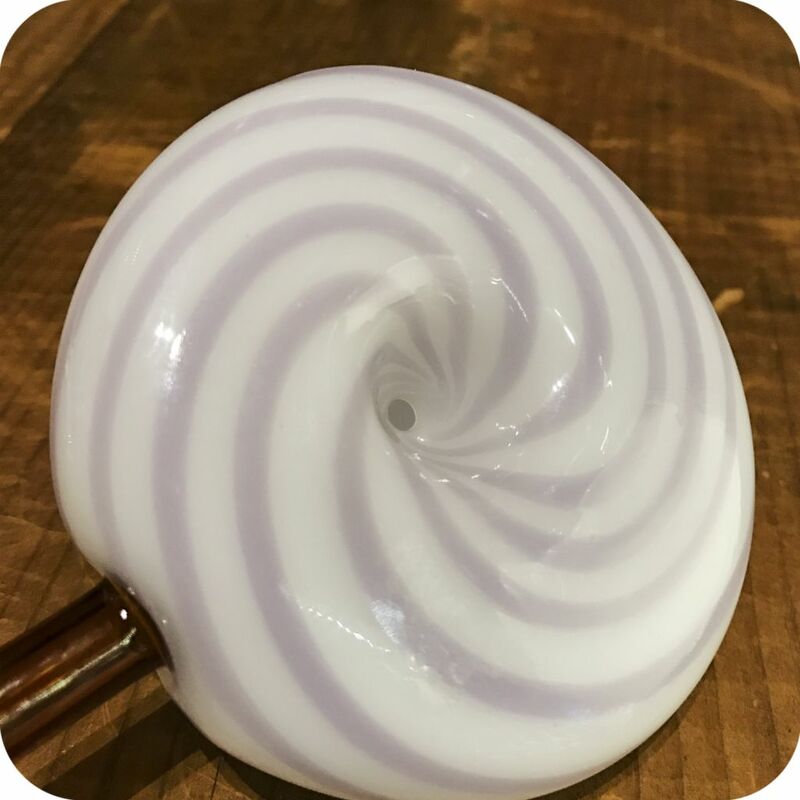 The bowl is placed in the center of the lollipop, with a long stem to smoke from. The length of the stem allows the smoke to cool down while it travels to your mouth. 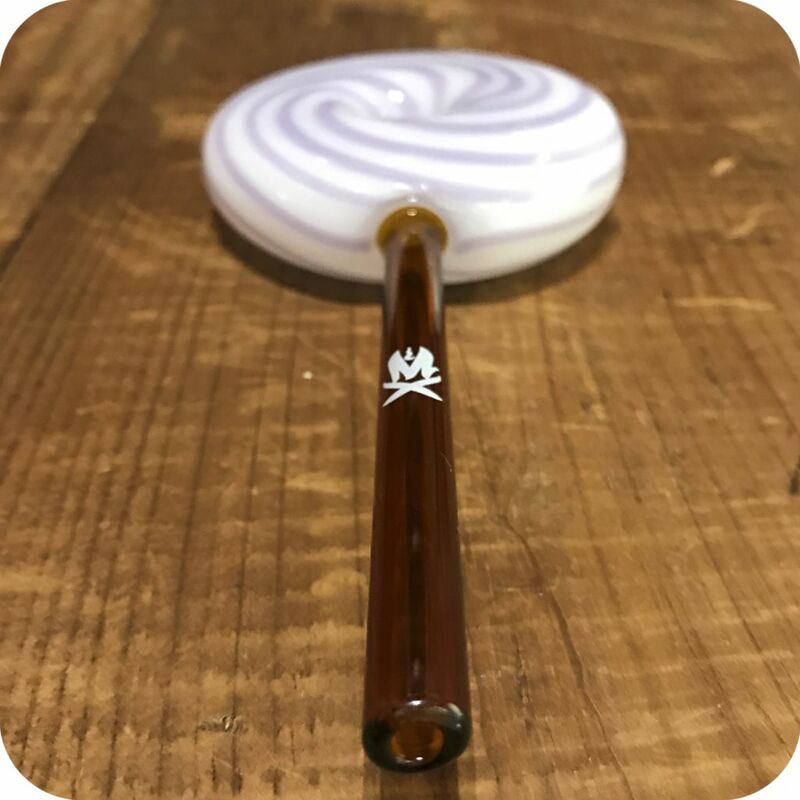 The lollipop pipe comes in different colors, so you can choose your favorite “flavor!” Easy cleaning with a pipe cleaner and some Formula 420 or rubbing alcohol will keep this fun piece nice and clean. 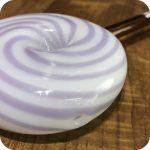 Please leave a comment/note in your order with which color you would like us to send you. We have green/brown/white, green/blue/white, and pink/purple for you to choose from. Hungry for more? Satiate yourself with our taco pipe and pizza pipe. 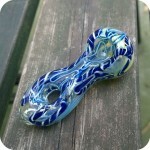 Tags: glass bowl, glass pipe, hand blown glass, hand pipe, smoking pipe.